Teams all over the world are building on Origin's protocols, but we're looking for more amazing people to join our mission. Bee Token is building a middleman free, peer-to-peer network of hosts and guests on the decentralized web using Origin Protocol. Spin is a leading personal mobility platform that rents e-scooters, e-bikes, and bikes in over 50 markets in the US. Kozaza is building their homesharing and traditional homestay network on the blockchain using Origin Protocol. CanYa is building their “marketplace of services” with Origin Protocol for the gig economy. 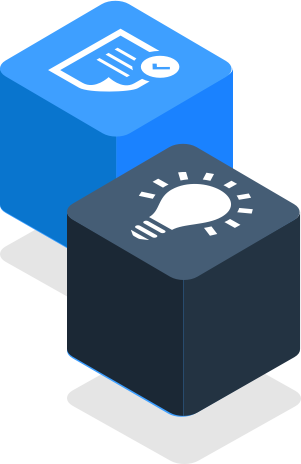 ServisHero is building their services marketplace that empowers workers in developing countries on Origin Protocol. Whether you are a freelance photographer, apartment owner, bikeshare supplier, or existing sharing economy business, Origin makes it easy to do business on the decentralized web. Get in touch to learn more. Harnessing the power of the Ethereum blockchain, listings are managed via a secure and transparent system that acts as a neutral third party. 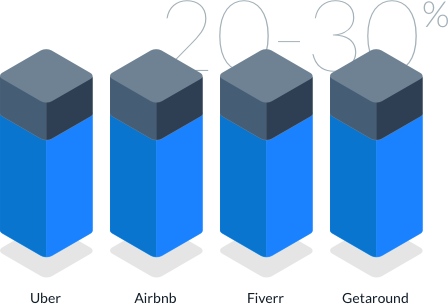 Buyers and sellers share the 20-30% transaction fees that currently go to companies like Uber, Airbnb, Fiverr, and Getaround. Sign up for our mailing list and be first to learn of any Origin news! 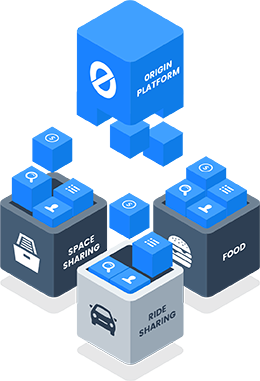 Origin aims to create a set of protocols that allow developers and businesses to build a decentralized sharing economy marketplace on a blockchain. Origin Protocol, which uses the ethereum blockchain, enables buyers and sellers to interact with each other in an effective manner. A decentralized digital ledger that allows for transactions between users without an intermediary (and without its fees), is poised to reinvent the user experience in the sharing economy. It sounds utopic and downright revolutionary: a world of benevolent social enterprises and non-profit organizations seeking to empower consumers and give them back their privacy rights, and maybe save them some money too. Origin Protocol uses the Ethereum Blockchain to help buyers and sellers transact in a decentralized environment without traditional intermediaries. Imagine an Airbnb with zero commissions and completely democratic. The platform is not controlled by a Silicon Valley giant but offered free to anyone with access to the internet. Origin Protocol offers an entire blockchain-based platform to allow anyone to create their own property-sharing business. 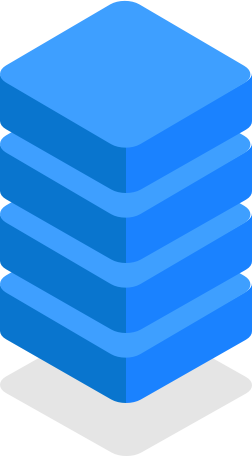 We want to create a future where buyers and sellers can transact in the wild by using neutral tools that don't favor either party. The sharing economy ends up sharing a ton of labor’s earnings with middlemen like Uber and Airbnb.